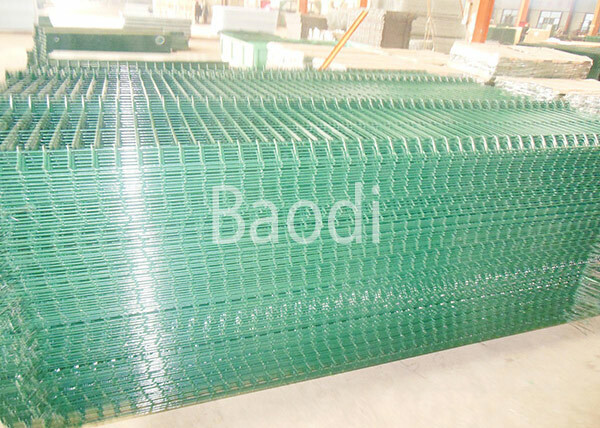 The Curved Welded Mesh Fence is made of low carbon iron wire, the fencing panels are galvanised followed by powder coating. The color could be green , blue , white , etc. The ' V ' shaped design increases stability to the panel including panels , mesh gates and accessories. 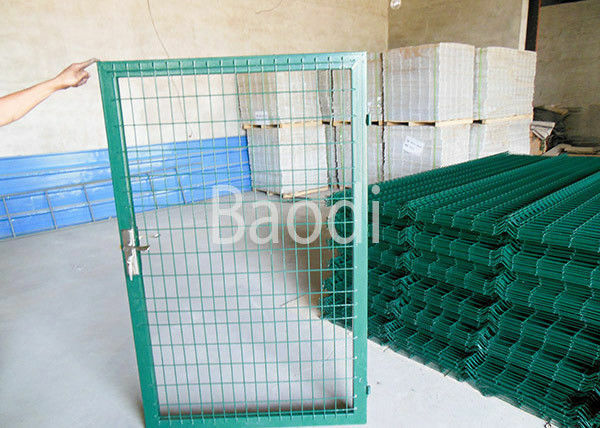 The Curved Welded Mesh Fence is custom made by our factory, each fence panel comes with a post and accessories. The post type could be round post, square post or peach post. Feature: Beautiful appearance, wide view and easily installation. Color Green, blue, black, white, yellow, etc. 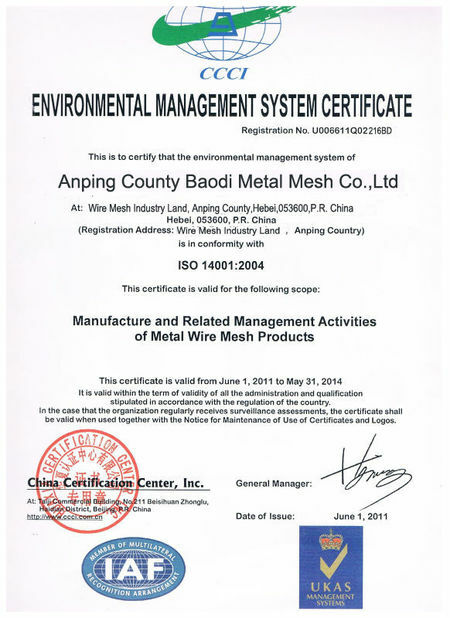 The cold rolled wire rods in the coil form is passed through pre set die and cartridge units (special sets for different diameter wire rods) present in the straightening and cutting machine, where the wire rods are first straightened and then cut to set length (precision up to 2mm) automatically. 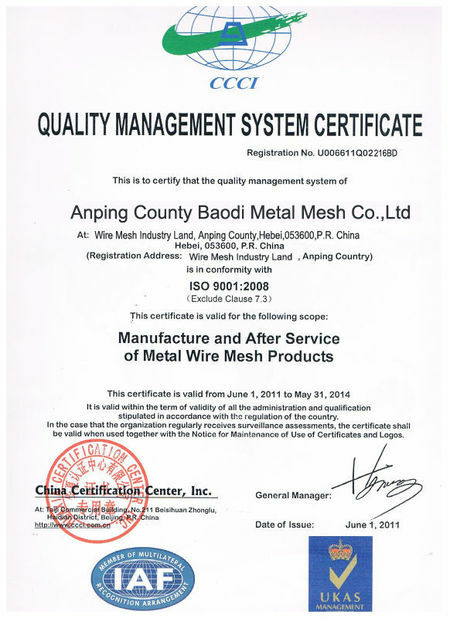 The wires are welded by electric resistance in an automated state of the art machine which controls welding parameters precisely. 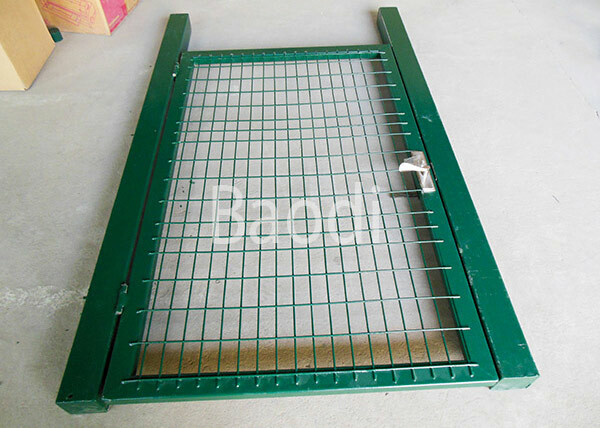 The bending machine available is used to bend the mesh panels to form the V shape design.